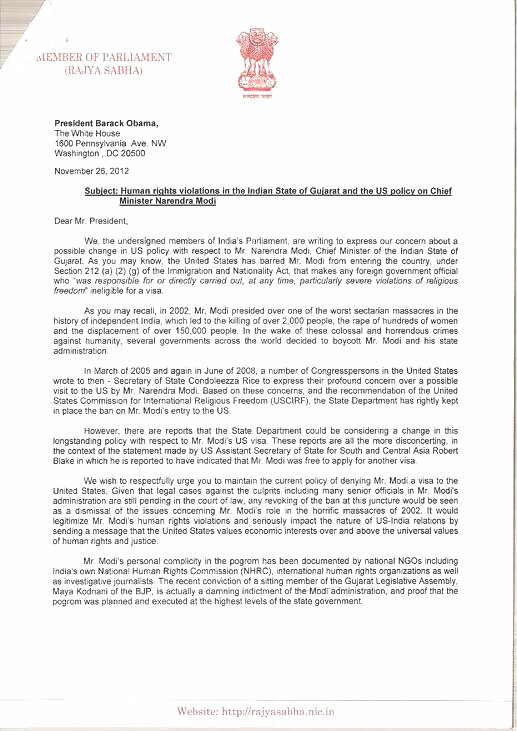 In Nov 2012, 65 MP’s of the Indian Parliament wrote to the US President asking Obama not to grant visa to Narendra Modi, who was the CM of Gujarath. These shameless MP’s feel that there is nothing wrong in taking an internal matter of the country to another country and insisting that they should not grant Visa to a constitutionally elected representative of the people. 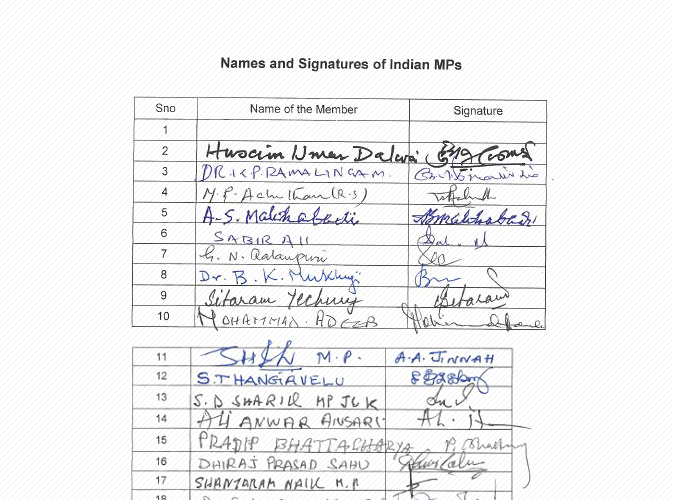 Many sections of the #PaidMedia at that point of time went about how the stand of these MP’s was right. Many decades ago, Nehru made the blunder of taking the J&K issue to the UN for which we are still paying the price. It seems that some political parties’s only agenda is to demean Bharat’s prestige in front of the world audience. Compare this with Modi’s recent reply in an interview to Fareed Zakaria on CNN – Sept 2014. To a question on Al-Qaeda’s plan to recruit Indian Muslims from Gujarat and other states, he remarked that Indian Muslims are patriotic and will not fall to Al-Qaeda’s trap. This is statesman like behaviour. We cannot allow a foreign channel to portray our own people in negative light. This entry was posted in Nation, Threats and tagged India relation with USA, Modi and Obama, PM Modi on September 26, 2014 by arisebharat. Those who hate &opposed Modi ji find lost their destinies in Gutters. For Live best evidence watch what happened to PaPpu & Mom! Those who hate or opposed Modi ji find lost their destinies in Gutters. For Live best evidence remember what happened to PaPpu & his ill famous Mom! poor MPs last their sight, fight, seat pretty all identity too!!!! How many persons are now sitting M.Ps? Do we have any statistics? 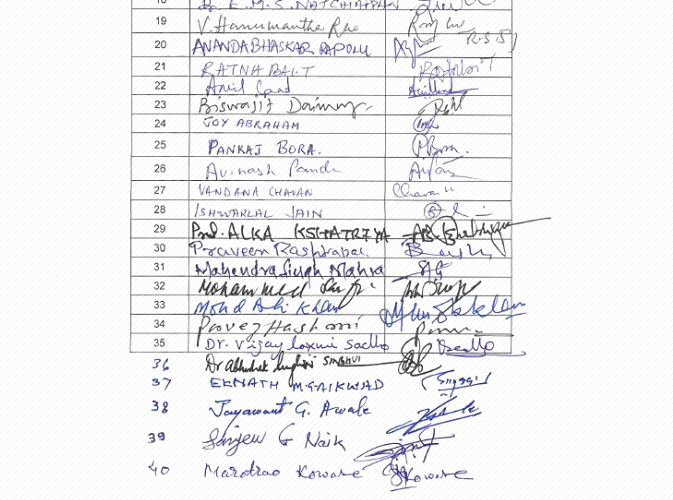 I think most of the Lok Sabha M.Ps are not re-elected in 2014. People would have given fitting reply.